The website guides the general public toward our research results. In addition, it serves to inform prospective students and fellow academics. We welcome inquiries from each of these groups! Each year, the RTG organizes a week-long summer school. The summer school brings together leading international faculty and ambitious doctoral students. 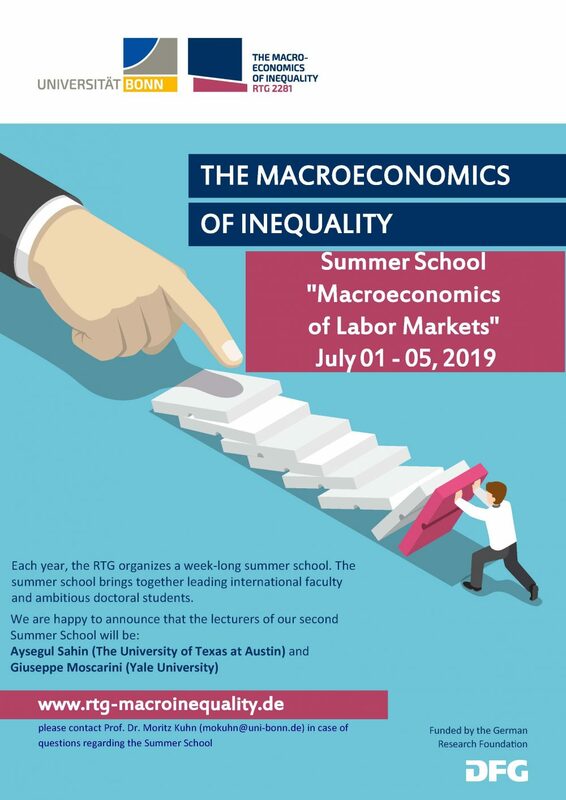 We are happy to announce that the lecturers of our second summer school will be Aysegul Sahin (The University of Texas at Austin) and Giuseppe Moscarini (Yale University). Please contact Prof. Dr. Moritz Kuhn (mokuhn[at]uni-bonn.de) in case of questions regarding the summer school.